100% biodegradable and 100% compostable, these nappy sacks are perfect for clean, easy and environmentally responsible disposal. Easy to pull out the next bag from the 100% recycled paper box, each bag will leave no harmful residues and will degrade completely within 2-5 years. 60 bags with gentle citrus fragrance. 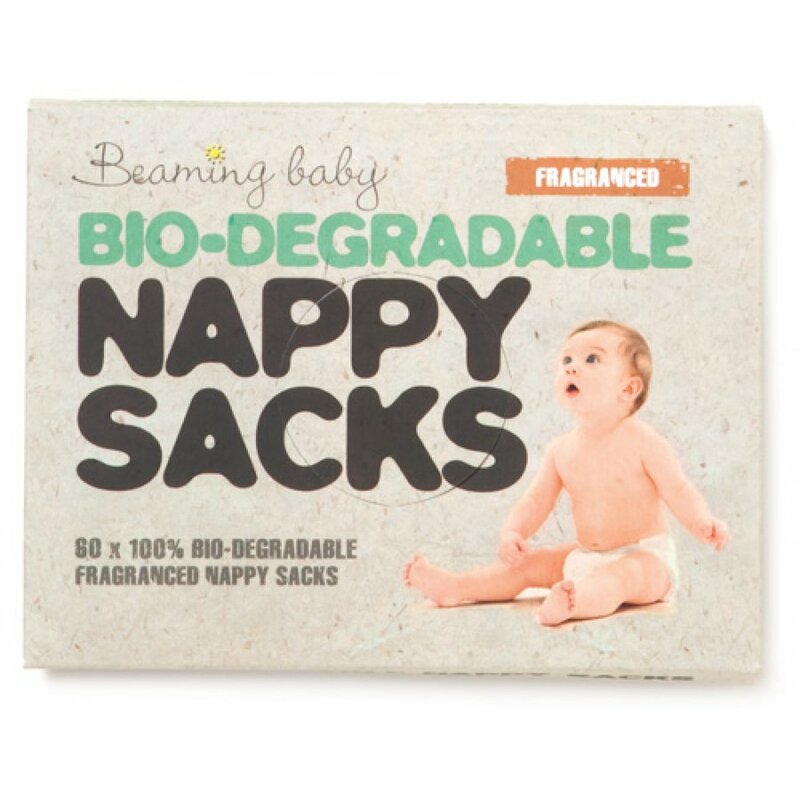 The Beaming Baby Biodegradable Nappy Sacks Fragranced product ethics are indicated below. To learn more about these product ethics and to see related products, follow the links below. Use as directed for dirty nappies. Good quality product. Would recommend to all parents. Good quality. Used them for many years. Good biodegradable nappy sacks with a pleasant odour. 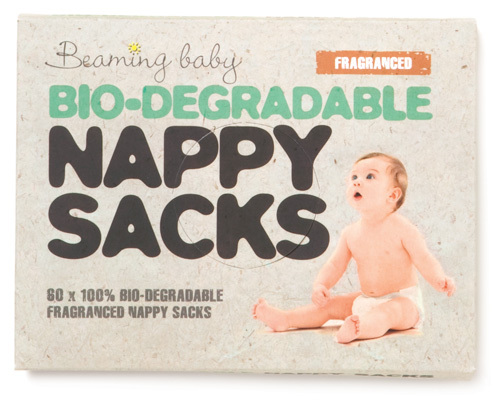 There are currently no questions to display about Beaming Baby Biodegradable Nappy Sacks Fragranced.